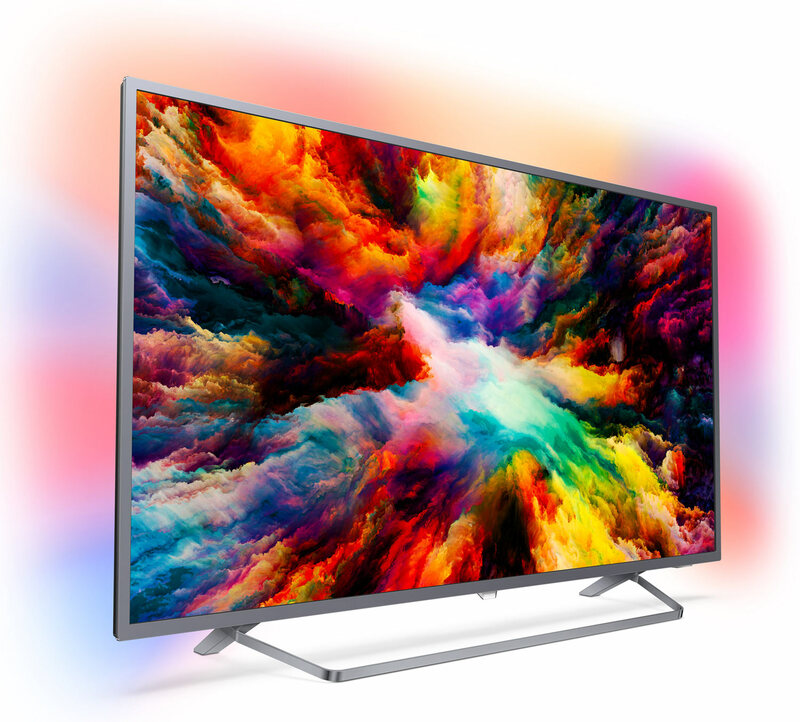 TP Vision will launch a comprehensive line-up of Philips TVs in Europe this year, spanning from high-end OLED TVs to low-end Full HD LCD models. Most of the TVs will offer 4K resolution, HDR, Android TV and of course Philips’ signature feature; the mood lighting system Ambilight. FlatpanelsHD brings you the full overview of the Philips 2018 TV line-up. Some years ago, Philips found itself in financial trouble and was forced to slim the business by selling assets, including the TV business. 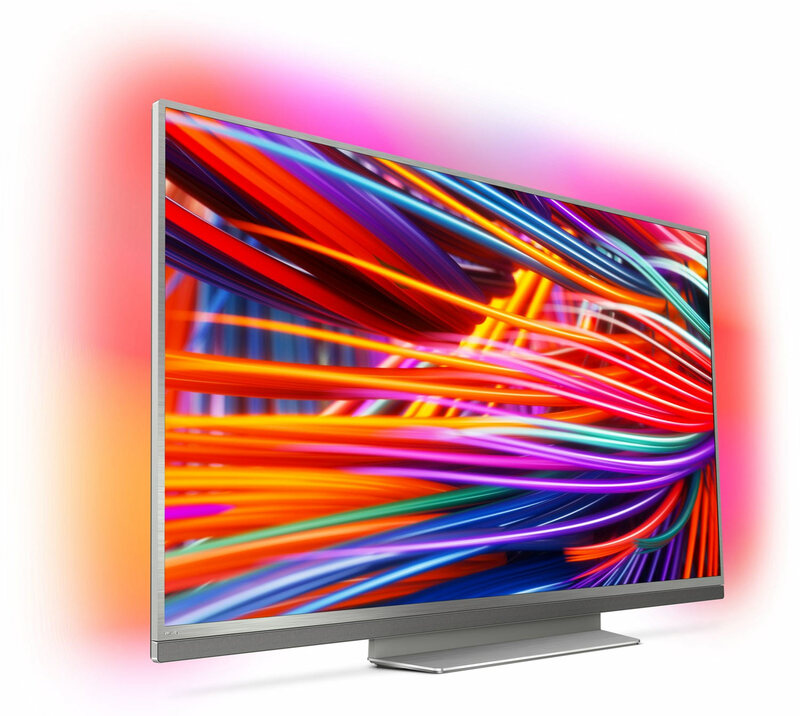 The Philips TV brand is today licensed by TP Vision in Europe whereas P&F USA has the rights to the brand in the US. This overview covers the European Philips TV line-up that is completely different from the US line-up. We first saw the new Philips TVs in Amsterdam back in January where TP Vision told us that OLED has helped it build strong momentum in Europe. 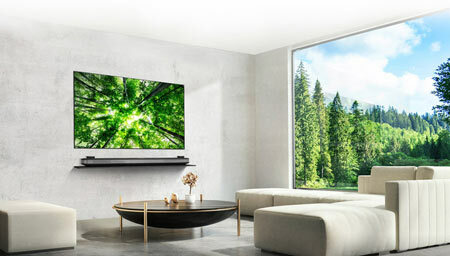 The relatively new display technology has allowed the company to capture share in the high-end market so it is no surprise that it has decided to expand the line-up of OLED TVs this year. 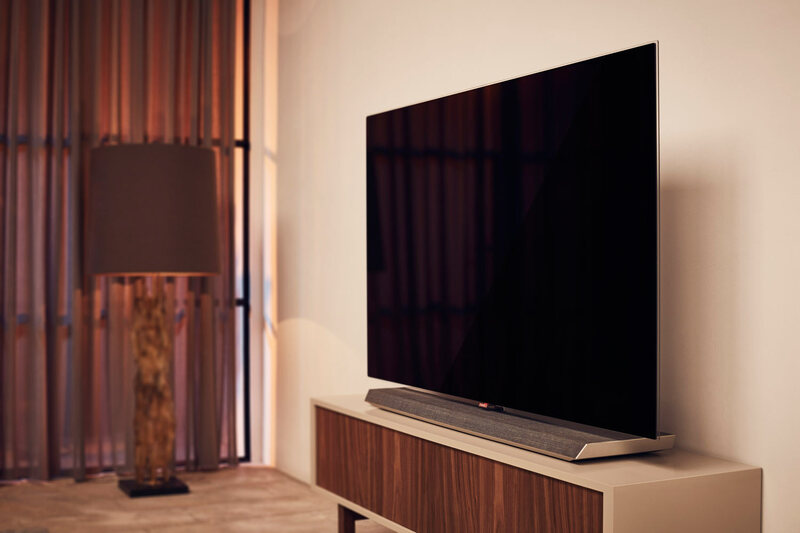 The flagship for 2018 is OLED973, which has a powerful built-in soundbar that serves as a base when placed on furniture or flipped when mounted a wall. OLED will also reach into the 8 series range for the first time when OLED803 arrives in the second half of the year. In addition, the company has added an OLED873 range, which is an extension of last year’s POS9002 model – and rumor says that Philips may have an addition OLED model planned for the second half of the year. 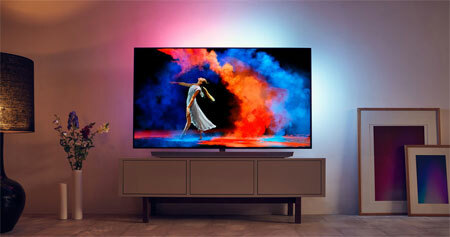 So, what will set a Philips OLED TV apart from LG, Panasonic, and Sony’s models? They are all based on the same LG.Display panels and LG has reserved for itself its most unique creation – the wallpaper panel. If you ask TP Vision, you have to look underneath and outside. Under the hood is the powerful P5 video processor that the company introduced last year and outside of the picture is the company’s most unique feature in the form of Ambilight. 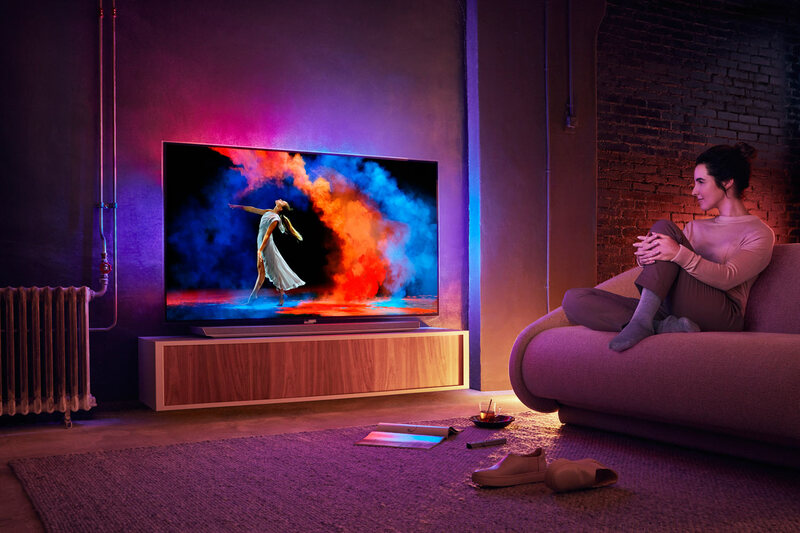 Ambilight will be available in more Philips TV than ever before and even affordable models will offer the 3-sided version that bathes your wall in mood lighting. Ambilight is one of those features that divide opinion. A couple of years ago, TP Vision explained that Ambilight had the highest loyalty rate of any single TV feature. On the other hand some buyers will not even consider Ambilight for a second. 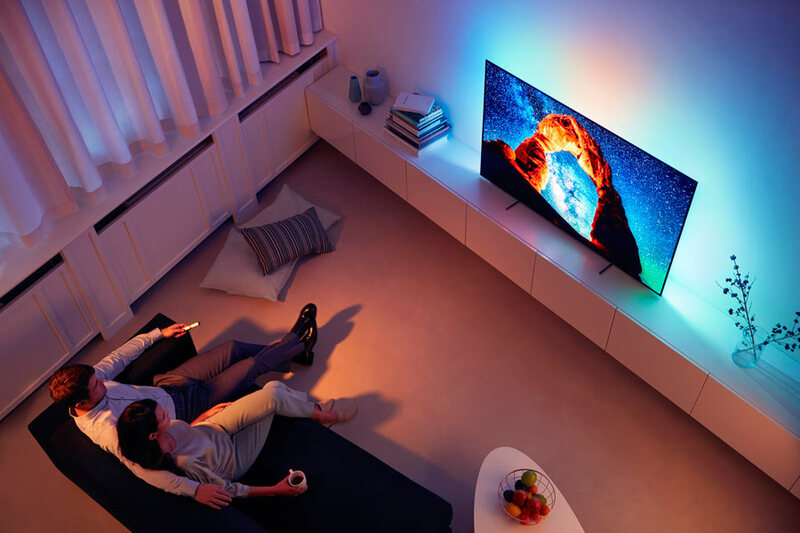 To try and give Ambilight more flexibility and broader appeal, Philips has in recent years expanded functionality to include Ambilight+HUE integration, a game mode, Spotify integration, and the possibility of using Amiblight solely as bias lighting, meaning a constant warm, white tone behind the TV. The company is continuing its strong partnership with Google. Philips TVs were some of the first to implement Google’s ‘Android TV’ operating system. This year, it will be available from the 7303 range and up. 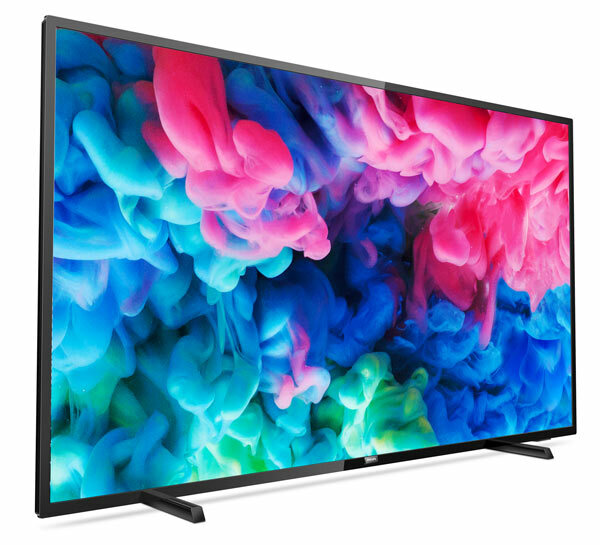 Philips is also introducing a new ‘Saphi’ platform in two of its most affordable 4K TVs but assures us that it is still fully committed to the Android TV project – despite a shaky start. Having Android in a TV allows you to download TV-optimized apps and games from the Google Play store and cast video content to the screen via the built-in Chromecast function. There is 16GB of storage built-in, which can be expanded by connecting a USB hard drive to the TV. TP Vision is still using relatively slow MediaTek SoCs to power the platform but the good news is that the company has committed to updating its TVs to Android 8.0 at some point in the future. The next major version will introduce a completely revamped user interface. Later this year, Philips will bring Google Assistant to its TVs via a software update. Besides allowing you to search for content, Assistant will integrate with Google Home and allow you to control connected devices in your home such as Philips Hue lighting. Check the video demonstration below. Another area of focus for Philips is picture quality. Expanding OLED to the 8 series will make the display technology approachable to more buyers but the company is also focusing broadly on 4K resolution and HDR (High Dynamic Range). 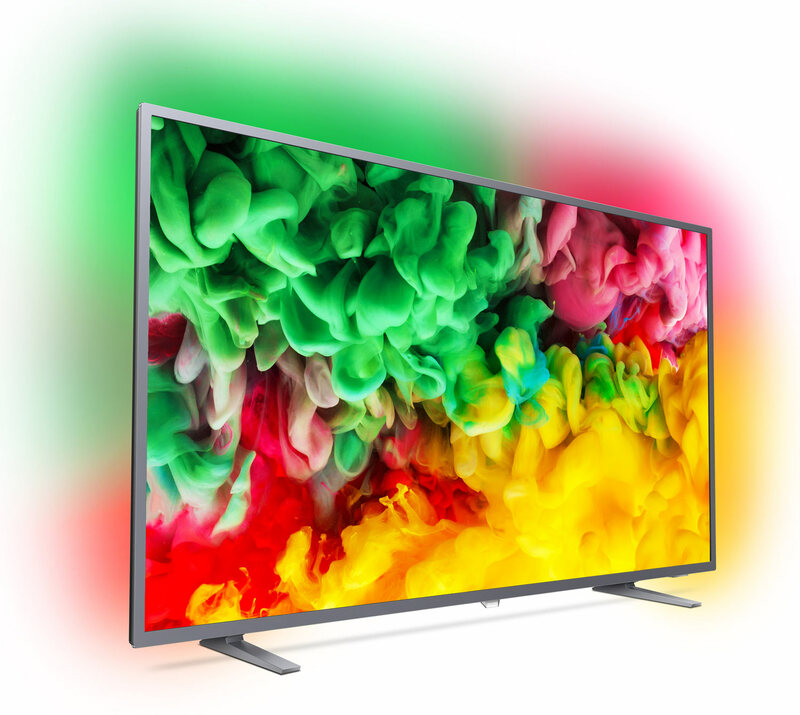 4K is relatively easy to support and has already become the norm when buying large-size TVs but HDR sets very high requirements for display hardware. 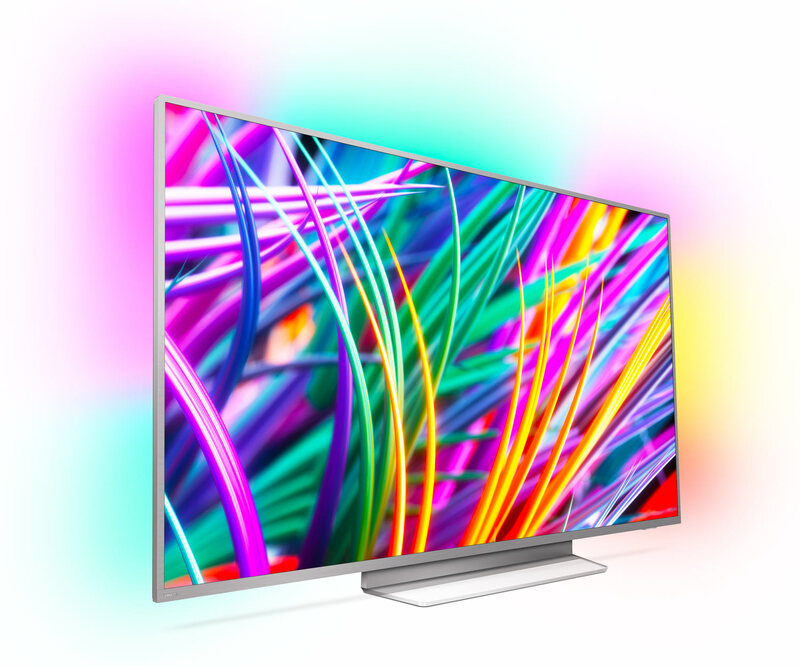 Like many other TV manufacturers, Philips claims to support HDR across its line-up but we advise caution. None of the LCD TVs are equipped with full array local dimming so if you are seeking HDR – the true next step in picture quality – you should be looking at the OLED models. TP Vision has shunned Dolby Vision in favor of Samsung’s royalty-free HDR10+ format. Besides TP Vision / Philips and Samsung, Panasonic is onboard as a manufacturer and 20th Century Fox, Amazon, and Warner Bros are onboard as content creators / distributors. Dolby’s HDR video format has strong momentum but the group hopes to have far more HDR10+ content reach a screen near you later this year. The only HDR10+ content available at the time of writing is Amazon’s modest HDR library. 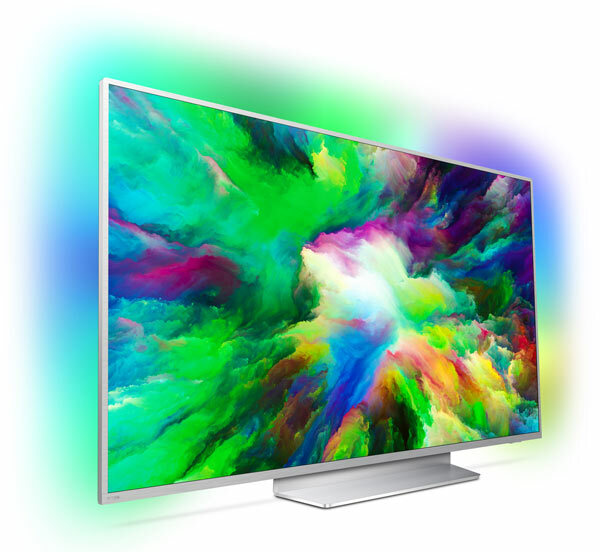 In addition to HDR10+, the Philips 2018 TVs will also support the base HDR10 format as well as HLG (Hybrid Log Gamma). There are no curved TVs in the 2018 line-up and 3D is not supported any longer. The 2018 line-up is comprehensive and covers everything from 4K OLED to HD LCD models that are part of the 5 series in sizes from 22 inches and up. The largest TV in the line-up will be a 75-inch LCD model. The TVs also come with the usual suite of features, including built-in WiFi, bluetooth, HEVC and VP9 decoding, and HDMI ports (4 inputs from the 7 series and up). The high-end models will come bundled with a new simpler remote control that resembles a wand as seen lying on the floor in first photo of the article. In addition, there is a remote control with a QWERTY keyboard in the box. The other models will come with a more traditional remote control in black plastic. 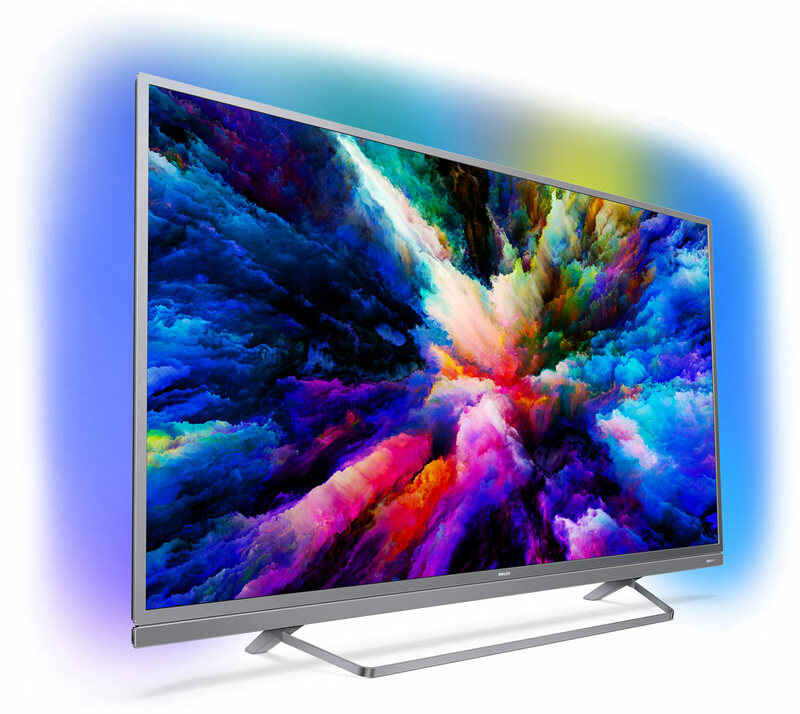 You can tell the 2018 TVs apart from previous years’ models by the model number ending on ’3’, meaning that a 7000 series from 2017 is called PUS7x03. As a reminder: xxx3 = 2018, xxx2 = 2017, xxx1 = 2016, xxx0 = 2015, xxx9 = 2014, xxx8 = 2013. 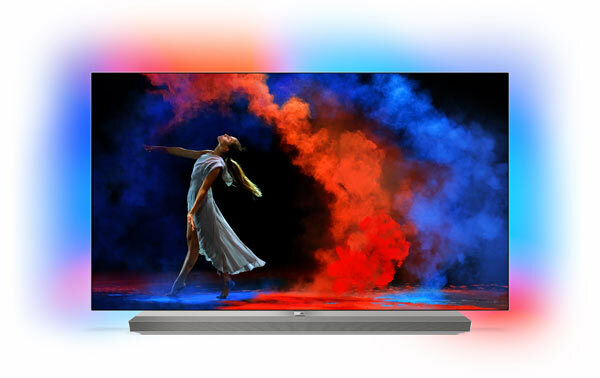 973 is the flagship Philips TV from TP Vision in 2018. The OLED TV comes with a powerful soundbar attached as well as Ambilight and Android TV. Philips OLED873 is the same TV as last year's POS9002 model. The 65-inch version is called OLED873 whereas the 55-inch version, which will carry over into 2018, is still named POS9002. 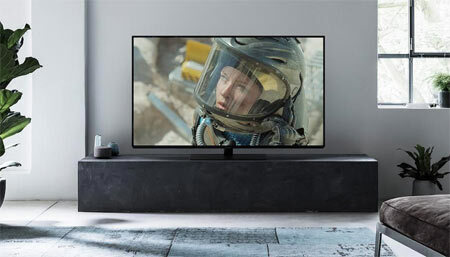 The OLED803 series will be available in the second half of the year as a more affordable range of OLED TVs with a ultra-minimalistic design, devoid of a logo on the frame. The 8503 range is switching to LCD technology. It is based on an LG.Display panel with ‘Nano LED’. It also features Ambilight, Android TV, and HDR10+. 8303 is the most affordable LCD model with the “Nano LED” filter. It will be available in 43 to 75-inch sizes. It has weaker speakers than 8503. With PUS7803 we are entering the 7 series segment. It has a more conventional LCD panel with edge LED. PUS7503 has a soundbar built-in for those buyers that are willing to pay a bit more for improved sound, says Philips. It is a range of 4K LCD TVs. 7303 is the most affordable Philips Android TV this year. It has an LCD panel with direct LED, making it somewhat thicker than the other TVs. 6703 has a newly developed smart TV platform named ‘Saphi’. TP Vision is still focused on Android TV but wants to offer an alternative in the affordable TV ranges, the company said. 6503 no longer features Ambilight or HDR compatibility but still features the Saphi Smart TV platform. Full HD models will be made available as 5 series models, including PUS5803, PUS5703, PUS5603, PUS5503, PUS5403, and PUS5303. More details in the comparison table.